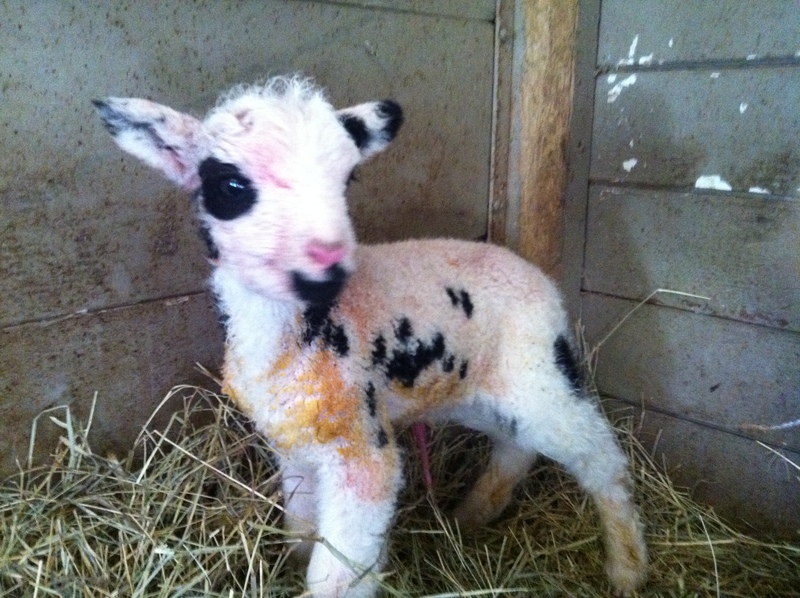 Lambing time is here….. 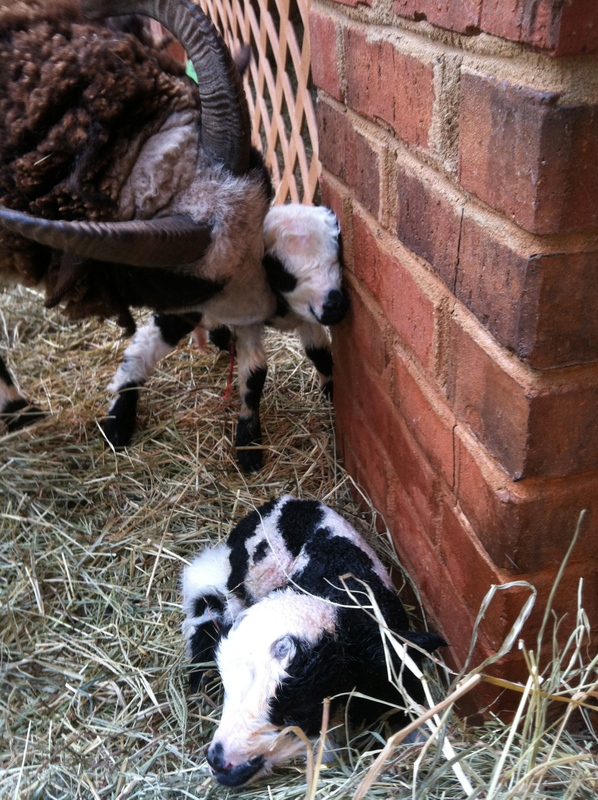 Introducing Never Winter Lady Baa Baa’s twins…. 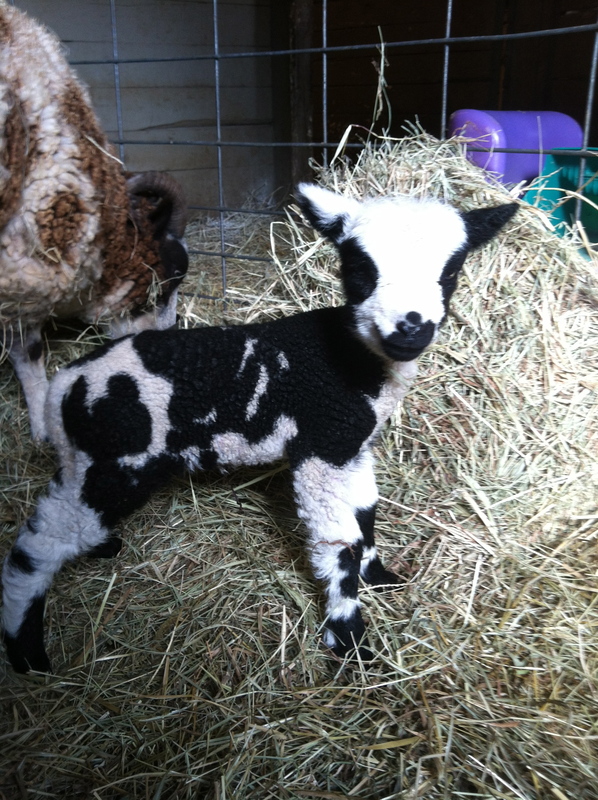 Darker twin, Ewe named Sabrina. Lighter twin is Ram named Marston. 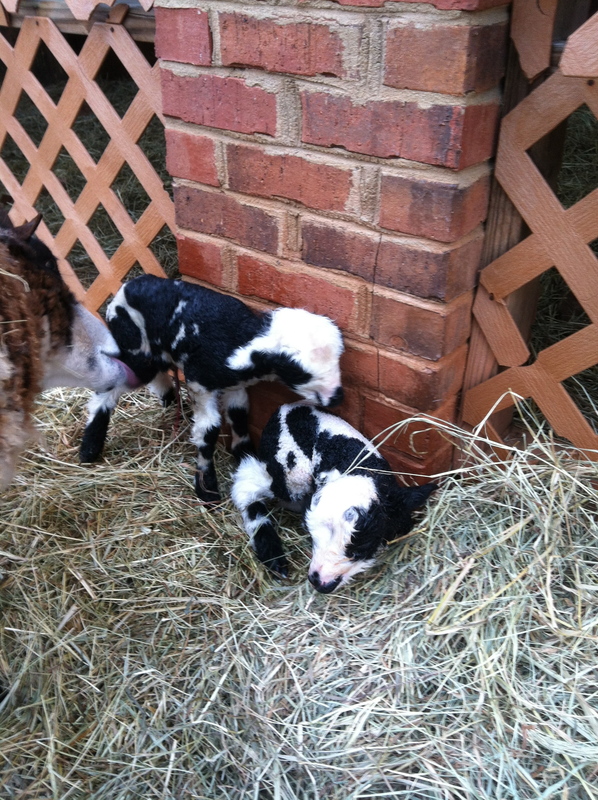 Sabrina left and Marston on right. 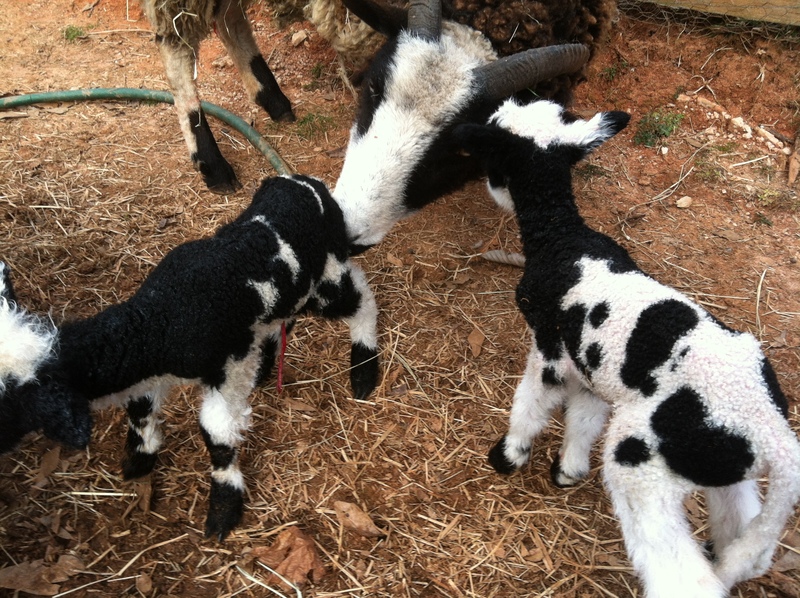 Teeny newborns, but very vigorous. 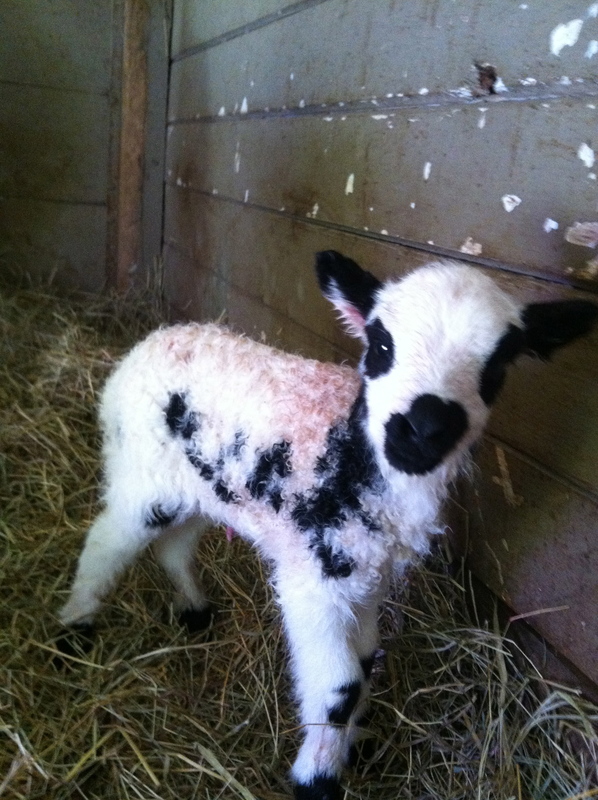 Baa Baa twinned as a first timer. 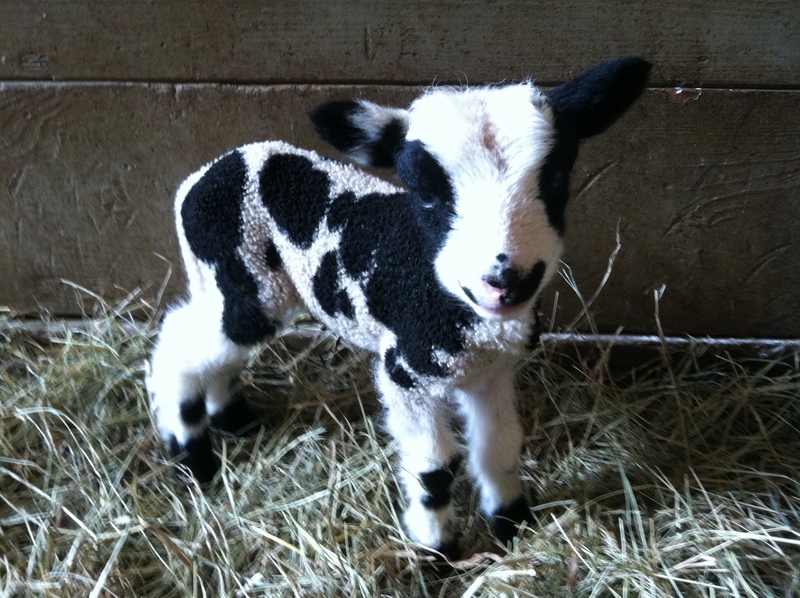 Painted Rock Oxford X Never Winter Lady Baa Baa. Twin Fused 4 Horn (?) – DOB 3/4/2013.